Casa del Parco di Marciana is situated near Fortezza Pisana and is accessible from the upper part of the town of Marciana. 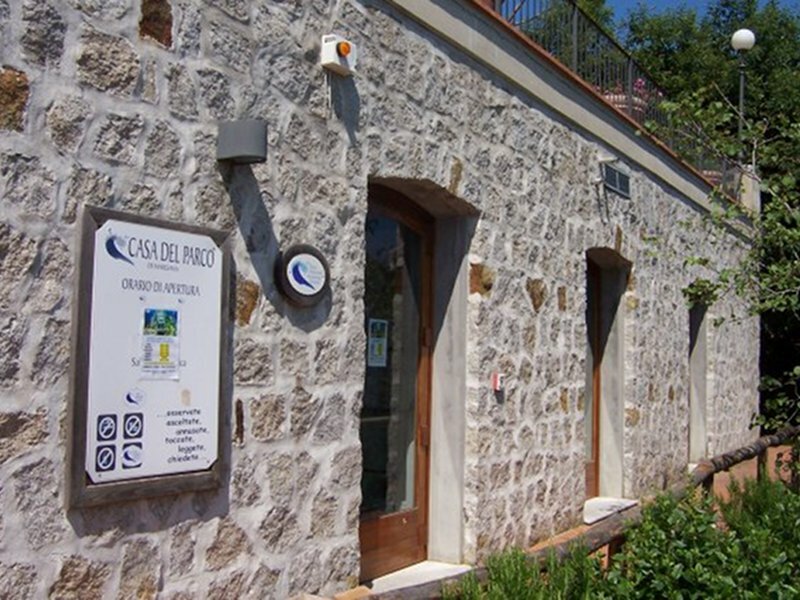 Casa del Parco covers an area of about 300 square meters and is divided into two main halls dedicated to the terrestrial and marine environments of the National Park. At the entrance, you will find the information desk with the brochures edited by the Park Authority; moreover, visitors may require a guided visit led by the staff of the Park. The first hall explains the reasons of the establishment of a Park and the main rules of behavior. Modern computer technologies give visitors the opportunity to discover the environmental and cultural values of the Tuscan Archipelago National Park, with particular reference to Elba Island. A few easy and accessible texts complete the beautiful images inviting to carry out a visit in the represented environments. Moreover, the visit route of Casa del Parco is completed by sounds (ex. the sound of the sea) recalling what the images describe.